Schizophrenia is heterogeneous in its clinical presentation, suggesting that several different pathophysiological processes might contribute to the illness. Positive and negative symptom dimensions Positive symptoms are those that reflect the presence of an abnormal mental process, and include delusions, hallucinations, and formal thought disorder. Negative symptoms reflect the diminution or absence of a mental function that is normally present. They include poverty of speech and blunted affect. In schizophrenia, positive symptoms tend to be transient, while negative symptoms tend to be chronic. In an influential hypothesis, Crow (1,9) proposed that positive symptoms arise from dopaminergic overactivity, while negative symptoms reflect structural brain abnormality. While a substantial body of evidence supports this hypothesis, it does not account adequately for the complexity of the heterogeneity of the clinical features in schizophrenia. Until the early 1970s, the diagnosis of schizophrenia was one of the most contentious and fraught issues in the whole of psychiatry. Since then a massive international effort has been put in motion out of which explicit diagnostic criteria emerged. Some achieved widespread and even multinational agreement, allowing the painstaking process of calculating diagnostic specificity, sensitivity, reliability, and (perhaps) validity to begin. Although criticism of the diagnosis of schizophrenia continues, mostly from outside psychiatry, the vast majority of psychiatrists look upon the major sets of diagnostic criteria with weary acceptance, seeing them as flawed but useful and possibly 'as good as it gets' given our current state of knowledge ignorance. According to World Bank and WHO estimates, (75> no less than 25 per cent of the total 'burden of disease' in the established market economies is at present attributable to neuropsychiatric conditions. Measured as proportion of the disability-adjusted life-years ( DALYs) lost, schizophrenia, bipolar affective disorder, and major depression together account for 10.8 per cent of the total, i.e. they inflict on most communities losses that are comparable to those due to cancer (15 per cent) and higher than the losses due to ischaemic heart disease (9 per cent). FunctionaLneurobiologyof schizophrenia The neurobiology of schizophrenia may be divided into functional and structural aspects. Significant progress has been made in both areas as a result of the development of imaging modalities and the emergence of molecular techniques to study the underlying cellular processes. 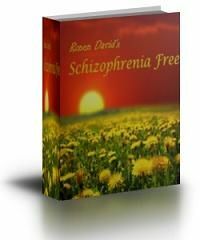 This diagnostic category combines the symptoms of acute polymorphic psychotic disorder with some typical symptoms of schizophrenia (F20) present for most of the time. However, the schizophrenic symptoms are not precisely listed. 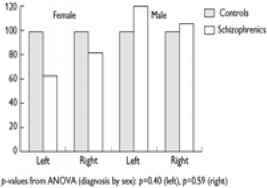 F23.1 can be a provisional diagnosis, which is changed to schizophrenia if the criteria of F20 persist more than a month. Acute polymorphic disorder with symptoms of schizophrenia satisfies the general criteria for acute and transient psychotic disorders Leonhard(9) described cycloid psychosis as an episode with clouding of consciousness and a marked alteration of thinking. Many authors have reported follow-up studies of cycloid psychoses,(2 2 and 23> which confirm the better prognosis of cycloid psychoses than of schizophrenias and schizoaffective disorders. Based on the above, it is not surprising that investigations are conducted into the possibility of using cannabinoid-based medicines for the treatment of impaired motor functions, many of which are thought to involve the dopamine system. Such conditions include Parkinson (128) and Huntington's diseases (129), Tourette syndrome (130), multiple sclerosis (131), and schizophrenia (132). However, especially in the case of schizophrenia, the complexity and chronicity of the condition and its treatments (133,134) warrant further experimental work until widespread clinical applications may be endorsed (135). Both acute and chronic phases of schizophrenia may be associated with offending and the latter may be of any type. Attempts to identify the significance of particular phenomena are fraught with problems. Case-note studies may be based on poor data, phenomena (e.g. grandiose delusions and command hallucinations) are difficult to define with high inter-rater reliability and accuracy, and appropriate control groups may be lacking. Typical research cohorts are inpatients, patients evaluated for admission, or offenders the extent of psychotic phenomena in community-based samples is poorly understood. It is therefore difficult to be confident that research findings in this area are generalizable. The cognitive and behavioural problems of schizophrenia overlap considerably with those produced by traumatic brain injury. Antisocial behaviours, apathy and lack of spontaneity, and erratic mood swings are common to both. Both will show cognitive problems including disorders of communication, memory, and planning. Will a head injury therefore aggravate these more negative symptoms of schizophrenia Given that a significant proportion of head trauma is found in people with schizophrenia who have jumped from a height, the question arises from time to time. As yet there are no studies of the outcome. Notwithstanding the difficulties accompanying the genetic dissection of complex disorders, novel methods of genetic analysis will eventually identify genomic regions and loci predisposing to schizophrenia. The majority are likely to be of small effect, although one cannot exclude the possibility that genes of moderate or even major effects will also be found, especially in relation to the neurophysiological abnormalities associated with schizophrenia. Clarifying the function of such genes will be a complex task. Part of the solution is likely to be found in the domain of epidemiology, since establishing their population frequency and associations with a variety of phenotypic expressions, including personality traits and environmental risk factors, is a prerequisite for understanding their causal role. Thus a molecular epidemiology of schizophrenia is likely to be the next major chapter in the search for causes and cures. Psychotic symptoms ('levodopa psychosis') occur at some point in 20 per cent of patients with Parkinson's disease, and the role of antiparkinsonian medication is central in their causation. Psychosis is more common in elderly patients and occurs in clear consciousness, although some degree of confusion is often present. 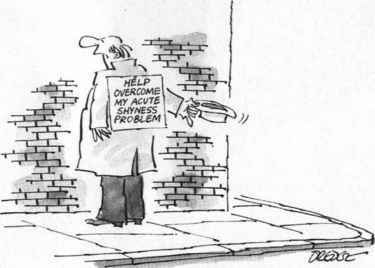 Psychosis in Parkinson's disease tends to have a progressive course. In addition to levodopa, many other drugs (selegiline, bromocriptine, and pergolide) have been implicated. Amantadine and anticholinergic drugs are more likely to cause confusional states. Stimulation of hypersensitive dopaminergic receptors in the nigrostriatal system by levodopa and related drugs may explain psychosis early in the course of treatment, but it is unlikely to explain the psychotic symptoms that appear after years of treatment. The therapeutic efficacy of atypical neuroleptics suggests a role for mesolimbic dopaminergic and serotonergic pathways. Throughout the discussion philosophical theories are brought to bear on the particular questions of the explanation of behaviour, the nature of mental causation, and eventually the origins of major disorders including depression, anxiety disorders, schizophrenia, and personality disorder. Aetiology, diagnosis, and therapy should be interrelated. Although most current diagnoses are descriptive, it is possible that nosology may eventually have a stronger basis in aetiology. It is likely that the aetiology of the psychoses will be better understood in the future, especially if an attempt is made to study subgroups of these conditions, relating them as far as possible to somatic abnormalities. This may be achieved with bipolar affective disorders and seasonal depressions, and also with special types of schizophrena such as periodic catatonia with its high genetic load, as described by Kleist and Leonhard. (2 > Future work on both psychotic and non-psychotic disorders should focus on developing a new nosology and overcoming the currently popular atheoretical approach to diagnosis. To determine the relevance of the study to real-life patients, it is important to examine the inclusion and exclusion criteria of the trial. The main inclusion criteria are discussed above. Patients excluded from the trial were women who were pregnant or of child-bearing age but unwilling to use an effective contraceptive method. Exclusion criteria also included major medical conditions, bipolar disorder, psychosis, panic disorder, concurrent major depressive disorders, generalized anxiety disorder, history of alcohol or other drug dependency within the previous 12 months, serious suicidal risk, previous non-response to two or more adequate antidepressant trials, and use of psychotropic drugs within 2 weeks of enrolment. The use of the study results will have to take these inclusion and exclusion criteria into account, and the clinician needs to judge the relevance of the results for the individual patient. The co-ordinated expression, in space and time, of many genes underlies neurodevelopment. Mutations in these 'neurodevelopmental genes' are increasingly being recognized as causes of developmental neurological disorders(15) such as cortical dysplasia and epilepsy they may also be relevant to learning disability and schizophrenia. Different gene families are involved in the major component processes of neurodevelopment, such as organogenesis, neurogenesis, neuronal migration, synaptogenesis, and programmed cell death (apoptosis). (1, ,17> The details are beyond the scope of this book, but a few examples are given here. Intracellular effectors activated by binding to dopamine receptors are presumably involved in their actions. It is possible that drugs may attenuate some signal transduction cascades while activating others, depending on the cell type and precise combination of G proteins expressed in particular neurones. Changes in transcription of discrete sets of genes may follow, with the genes being turned on or off to yield a favourable clinical response. Furthermore, disease states such as depression or schizophrenia may themselves result from alterations in activity of distinct signal transduction cascades. Appreciation of these processes will therefore contribute in the long run to increased understanding of both the pathology of mental illness and psychopharmacology. There are a number of studies of neurone number, density, and size in schizophrenia. As summarized in Table .2, the majority of these have focused on the ventromedial temporal, and frontal lobes. 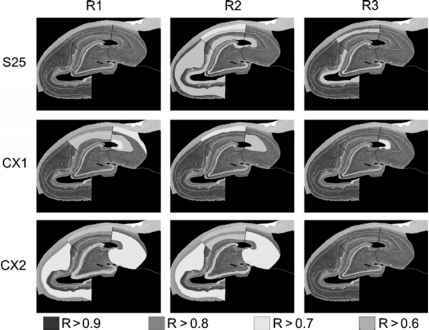 In summary, morphometric microscopic studies in schizophrenia frequently find alterations in neurone density, size, shape, and positioning mainly in temporolimbic and frontal regions. Findings in other regions require replication, especially taking the small study samples into account. Similarly to brain-mapping studies of patients with schizophrenia, regional deficits of neural activity (indexed by cerebral blood flow or glucose utilization) can be As demonstrated in schizophrenia, significant associations between cortical activity and cognitive function, symptom clusters, including mood, and response to treatments are apparent. *25' Similarly to schizophrenia, the resting-state functional brain abnormalities may represent the physiological correlates of aspects of the depressed state such as depressed mood, retardation, or cognitive impairment rather than trait markers of the illness itself. The treatment of PD needs to be individualized each patient presents with a unique set of symptoms, signs, response to medications, and a host of social, occupational, and emotional problems that need to be addressed. As mentioned above, a major goal is to keep the patient functioning independently as long as possible. The practical guidelines for how to direct treatment are to consider the patient's symptoms, the degree of functional impairment, and the expected benefits and risks of available therapeutic agents. Ask the patient what specific symptoms trouble him the most. Also, keep in mind that younger patients are more likely to develop motor fluctuations and dyskinesias older patients are more likely to develop confusion, sleep-wake alterations, and psychosis from medications. Gamma rhythms have been linked with sensory processing and with perception and other cognitive functions. Gamma rhythms may play roles in other psychiatric conditions. For instance, a recent study reveals increased beta and decreased gamma band signals in patients with schizophrenia. It is tempting to speculate that rather subtle changes in the networks responsible for gamma and beta rhythms could be at fault. PET scanning is of particular value in elucidating the relationships between cerebral blood flow, oxygen utilisation and extraction in focal areas of ischaemia or infarction (page 237) and has been used to study patients with dementia, epilepsy and brain tumours. Identification of neurotransmitter and drug receptor sites has aided the understanding and management of psychiatric (schizophrenia) and movement disorders. Long-term survivors with clinical AIDS and those who remain asymptomatic for prolonged periods of time in the face of very low CD4 counts seem to be those who have good coping skills, lead meaningful lives, find new meanings as a result of illness, are relatively not distressed, and are emotionally expressive and assertive. HIV-associated dementia, which is reversible in its early stages, appears to be closely related to the action of proinflammatory cytokines, particularly tumour necrosis factor, on neurones. Psychiatric symptoms, as well as cognitive defects, probably also cytokine induced, also occur in conjunction with HIV infection (primarily of microglia) of the brain they include apathy, withdrawal, psychosis, and regressive behaviours. The important observation here is that genetic approaches on their own do not tell us how genes shape behaviour. In fact they often raise more questions than they answer, and this has implications for the hopes placed in positional cloning as a method of unravelling the biology of the mind. 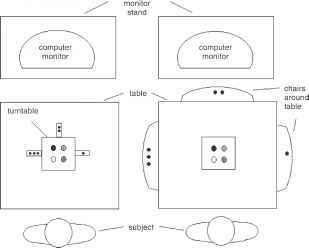 Accessing the neural correlates of mood disorders and psychosis or normal behavioural and cognitive traits appears possible by using the positional candidate cloning strategies described above. But, even with the genes in our hand, we may be no wiser about what they do. The detailed functional assays described above for memory have only been possible because so much was already known about its anatomical, cellular, and molecular basis. We do not know the molecular basis of any common psychiatric disorder, but it is almost certain that we will before long. Loci that determine susceptibility to psychosis, mood disorders, and personality disorders are being mapped, despite fluctuating levels of agreement between research groups. Once genes are identified, there is every reason to expect that subsequent genetic investigations will be equally daunting, as has been explained in the context of the neurobiology of learning and memory. The complex genetic basis of disorders with simple patterns of inheritance suggests that understanding complex inheritance will be, quite simply, very difficult. For patients older than 70 years or those with any cognitive decline, employ levodopa therapy. Not only is there less need for a dopa-sparing strategy in these elderly patients, they are more susceptible to confusion, psychosis, or drowsiness from other antiparkinson drugs, including dopamine agonists. Levodopa provides the greatest benefit at the lowest risk of these adverse effects, compared to the others. In this, the focus moves from the population back to the individual. For example, if the annual incidence rate for schizophrenia is known in a population and if this information is age-specific, it is possible to estimate the probability that a person of a given age will develop this disorder within the next year. This is the base rate, before one starts to consider risk factors such as family history. Next, by aggregating data on the course of schizophrenia, it is possible to estimate the chances of recovery for persons who are currently having their first episode. The common principle is that data based on large numbers of persons are used to make probability estimates for individuals. The epidemiology of mental disorders could have made no real progress without methods for specifying the disorders to be investigated, then measuring these, so that research on, say, depression or schizophrenia can be comparable between sites, within and between countries. Whether the study is at the level of the community, primary healthcare or mental health services, it is essential to specify which symptoms or which diagnoses are to be studied. Having consistency in diagnosis has been made much easier through the development of the diagnostic criteria now in wide international use. The Schedule for Clinical Assessment in Neuropsychiatry (SCAN) belongs to the first type. It is the successor to the groundbreaking Present State Examination ( PSE) developed by Wing et al. (39) and now revised(40) for the World Health Organization. SCAN is a clinician's instrument because it requires familiarity with the phenomenology of mental disorders. It assumes that the interviewer is comfortable in examining persons with a mental disorder. In complete contrast to interviews for use by laypersons, the clinician asks the main question, but is allowed to probe with further questions if necessary, before deciding if a symptom is present or not. The correct use of SCAN requires formal training in one of the designated centres around the world. SCAN has a number of modules, each dealing with a group of disorders such as anxiety states, affective disorders, substance abuse, or psychoses. It is available from the World Health Organization. Kraepelin's important differentiation of manic-depressive illness from dementia praecox (schizophrenia) did not begin to be defined until 1896. Asylums contained patients suffering from many varieties of psychiatric illness who had nothing in common with one another except their inability to comply with the standards of behaviour demanded by society. It is unusual for patients with delirium to seek medical attention themselves the main exception being the alcoholic who notices the emergence of visual hallucinations whilst withdrawing. Rather, drowsiness or disturbed behaviour will alert others. Disturbed behaviour may include agitation at the presence of delusions or hallucinations, or the expression of false ideas, for example that a carer or family member is trying to harm them. The presence of a diminished level of consciousness may be obvious in some cases, but can easily be missed if it is mild and not associated with overactive behaviour disturbance. A common presentation to liaison psychiatry is for general hospital ward staff to refer a patient as ' psychotic', on the basis of apparent delusions or hallucinations. The task here includes distinguishing a new episode of functional psychosis (uncommon) from delirium (common in this situation). There are numerous assessment scales, some intended for routine clinical testing by non-specialists. (8) An example of a brief assessment is the Cognitive Test for Delirium. (9) However, only two of the scale's attributes (visual attention span and recognition memory for pictures) were able to distinguish delirium from dementia, schizophrenia, and depression (p < 0.0001) and delirium from moderate to severe dementia (p < 0.0002). This confirms the importance of testing attention and short-term memory in this group. 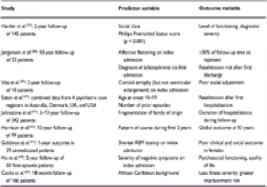 Special investigations (such as electroencephalography (10)) have little role in the diagnosis of delirium itself. Their main role is in identifying the underlying cause of delirium (see above), especially in making sure that treatable causes have been excluded.